Buying secondhand motorcycles is a lot of fun. But it can also be a bit stressful, which is why manufacturers have introduced approved, pre-owned schemes. It means you get a bit more peace of mind when you’re buying a bike previously ridden by someone else. And as a bonus, you can currently win free insurance with approved used Triumphs in July, 2018. 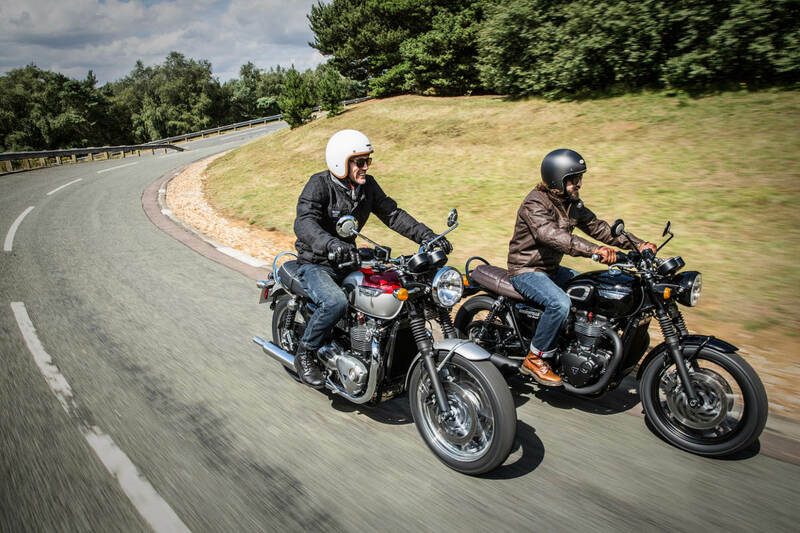 Buy an approved pre-owned Triumph from the Adventure, Roadsters and Modern Classics before the end of the month and you’ll automatically be entered into a prize draw. And three winners picked at random will be offered Triumph Insurance for 12 months, up to a value of £500. And if you’ve already got cover sorted, the offer will be valid for two years. You can buy from the Approved Pre-Owned Triumph stock either online or through participating dealers. And there’s a list of checks which are carried about before a motorcycle is available. All the Triumph motorcycles available as an approved used example will be under five years old from their first registration. And they’ll also have done no more than 25,000 miles. To be included in the stock list, the bikes will also have received any service required within 1,000 miles or 3 months. And they’ll undergo a multi-point inspection and any rectification work required. So you get the benefit of a vehicle history and mileage check, a certified vehicle quality check, and full service history. The checks include the frame, suspension, steering, final drive, wheels and tyres. And a full engine diagnosis, exhaust system examination and electrical inspection. Other benefits to the Approved Pre-Owned scheme include a one year MOT. Plus a one year unlimited mileage warranty, and a full year of Roadside Assistance just in case. As a final incentive, Triumph TriStar Finance is also offering a 7.9% APR deal on the Pre-Owned range until the 31st July, 2018 as well. Paul Lilly, general manager of Triumph Motorcycles UK and Ireland, commented: “With a comprehensive multi-point inspection and a quality & safety check by a qualified technician, we’re confident that each Approved Pre-owned motorcycle will perform like a factory fresh bike for its new owner for complete peace of mind. So full checks, a finance offer, and the chance to win free insurance with approved used Triumphs in July. Not a bad way to celebrate summer, really?